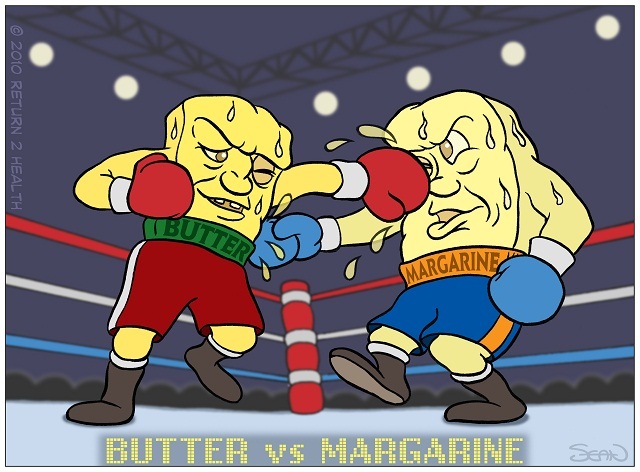 Food Fight: Butter vs Margarine, Which Is Better For You? Butter, according to recent research, might not negatively impact your health the way we thought. On the contrary, margarine may be associated with certain disease risks. Eating a balanced diet is the biggest takeaway from this, instead of fixating on one nutrient or type of food. Over the past decades, the mantra has always been that butter is bad. The thought is so drilled into our heads that whenever we spread our toasts with butter and kaya, we also slather on a generous portion of guilt. We believe that it’s going to raise our cholesterol and give us a heart attack eventually, so we sadly avoided of the dairy aisle at the supermarket. Instead we look to margarines, which researchers and nutritionists claim to reduce your cholesterol levels and improve your health. But is this true? 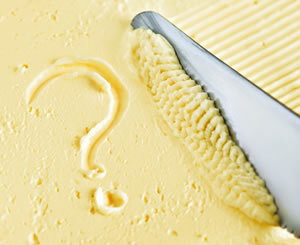 Is margarine truly the better alternative to butter? And is butter all that bad? When you ask someone how butter is made, most people draw a blank. We imagine this complicated process where lots of ingredients are thrown into a vat to create that milky yellow slab we call butter. Guess what? It’s actually not all that difficult. Butter is basically made by churning fresh or fermented cream or milk until the butterfat separates from the buttermilk . In fact, the process is so simple you can even do it accidentally at home when you over-whip your cream and it goes all sloshy and weird . Butter is packed with saturated fat and cholesterol, leading to its bad reputation as saturated fat is linked to heart diseases. Nutritionists recommended we steer clear of butter if we want to live a long, healthy life. Most vegetable oils are liquid at room temperature, so to make margarine, the hydrogenation process is used to solidify the oils and give it a harder consistency and a longer shelf life. During hydrogenation, some of the vegetable oils get converted into hydrogenated fats  (or what we call trans fats, which has been shown to be related to higher risk of coronary heart disease). However, quite a lot of margarines are reformulated to contain very little or no trans fats these days. There has been a host of conflicting evidence, both for butter and margarine, and against butter and margarine. In other words, there was no clear evidence linking high consumption of saturated fat to risk of heart disease. Through the conclusion of this study, it seems that butter, being condemned due to its high saturated fat content, didn’t deserve all the abuse it has been getting the past decades. Since its publication, a number of scientists have criticised the paper as biased and filled with errors. Some were even calling for it to be retracted . The researchers have since corrected the errors and stand by the paper’s conclusions. Quite a few led to the same conclusion. This other study conducted a meta-analysis, including this one from 2009 , this one from 2013 , this other one from 2009 , and this one from way back in 1998 . They all call for more trials and research on saturated fat. In fact, some studies are saying that saturated fat might actually be good for you, raising your HDL levels (the good cholesterol), and changing your LDL from small and dense to large LDLs . So how did saturated fats get such a bad rep? Saturated fats started being demonised in 1958 when Dr. Ancel Keys, a scientist at the University of Minnesota conducted “The Seven Countries Study“, which examined the correlation between cholesterol and heart disease in close to 13,000 men across 7 countries. What he found was that the countries with the highest fat consumption also had the most heart diseases, thus supporting the claim that dietary fat causes heart diseases. This became the basis for the nutritional guidelines of today’s world – to lower our saturated fat intake so we lower our risk of heart disease. However, critics pointed out that the countries Keys visited left out those which had little heart disease but high fat consumption. Countries like Norway, Switzerland, and Sweden. He also left out countries with high rate of heart diseases but low fat consumption, like Chile. Other factors which could have contributed to heart disease were also not studied, like the consumption of sugar, for example. Okay, so we need to reevaluate whether saturated fats cause us harm, but are margarines still good for us? Margarines are touted to be better than butter due to its lower saturated fat content and high polyunsaturated fat content. Made from vegetable oils, margarines are rich in omega-6 fats (one of the two main forms of polyunsaturated fats, the other being omega-3). Omega-6 has been promoted to be healthy and good for you. Considered essential fatty acids, these are necessary for your health but your body cannot produce them so you have to get them from food. However, some studies suggest that excessive intake of omega-6 fatty acids may increase the probability of some diseases . Another study showed that decreasing your omega-6:omega-3 ratio can help protect against some diseases . The Sydney Diet Heart Study of 1966- 1973 studied 458 men aged 30 – 59 who recently suffered heart problems and replaced the saturated fats (butter) in these men’s diets with omega 6 linoleic acid from safflower oil margarine. The outcome? Those on the margarine showed increased risk of death from coronary heart disease and cardiovascular disease . However, we need to take this with a pinch of salt. Because the study was done in 1960s, margarines back then still had very high percentages of trans-fats, which has been well-documented and proven to cause nasty problems in our bodies and could have affected the results of the study. Most margarines these days no longer contain high amounts of trans fats due to a reformulation in the production process. Most adopt the new method of interestification, which produces interestified fats. For now, the long-term risks of consuming interestified fats are unknown , but short-term research shows no harm in the interestification of fats . 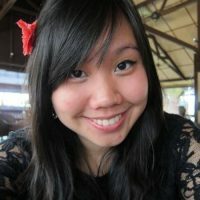 A comprehensive review which looked at 16 studies showed that high-fat dairy consumption is actually inversely associated with obesity risk. (That means it’s associated with a lower risk of obesity). The review also found that there’s no consistent association between dairy fat and cardiovascular diseases . With all these evidence, it’s safe to say that butter is probably not going to kill you, but this isn’t a license to go all out and start drinking melted butter while eating butter sticks. Fats are still fats, and butter is still made up of 80% fat. 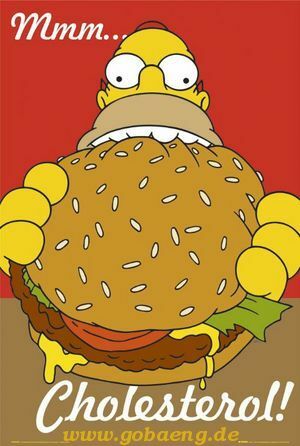 While fat is a required part of your daily diet, and will not make you fat, excessive calories will. A pat (about 5g) of butter contains 36 calories, so do the math . Margarine gives you about the same amount of calories, and is also made of 80% fat . From my research, I realised one very important fact. Cutting out one particular nutrient (like fat), or food item (like margarine or butter) from your life isn’t magically going to make you healthier and lower your risk for diseases. It’s your entire diet as a whole that will make or break your body. Saturated fats (red meat, butter, cheese etc) have been avoided for decades, but are we better off, healthwise? We skip the red meat and go for low-fat breakfast bars instead, or muesli filled with dried fruit (with added sugar). We avoid wholesome full-fat milk and reach for the strawberry-banana flavoured low-fat milk instead. We load our plates up with refined carbs like white rice or noodles. Perhaps we should rethink what we’re eating. Really look into where our food is coming from, how it’s manufactured, and what ingredients go into it. We’re not going to tell you to stop eating margarine or start eating butter. That’s for you to decide based on what your comprehension of the evidence out there provides. If there’s any trans fat in there, ditch it. Be careful with labelling that says trans-free, as laws permit it up to a certain amount of trans fat. Always read the packaging. If there are any additives (you don’t need more than cream, water and salt to make butter), Google it and see if you’re comfortable with what you find. If you can, try to search for butter which comes from grass-fed cows instead of grain-fed cows (as what’s used to feed the cows could already be genetically modified). 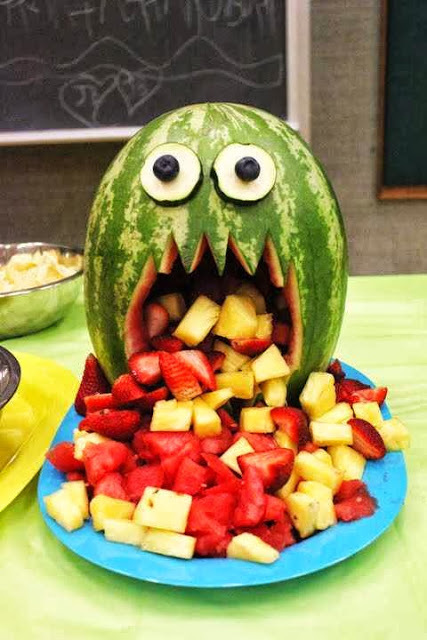 Instead of fixating on the individual nutrients, sit back and focus on the foods you are eating. Look at quality instead of the quantity. 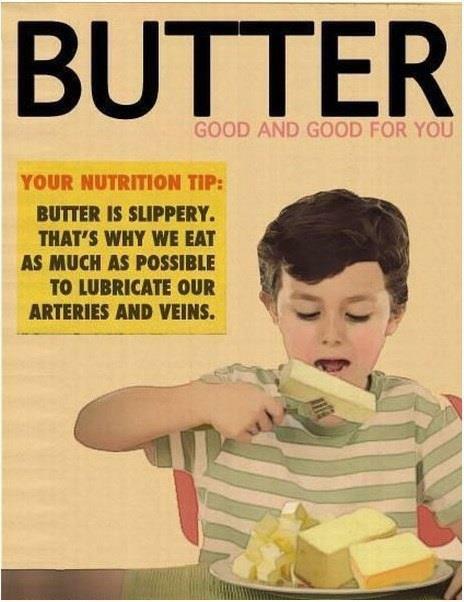 Also, just because you think butter or margarine is good for you, doesn’t mean the pancake you’re spreading it on is. 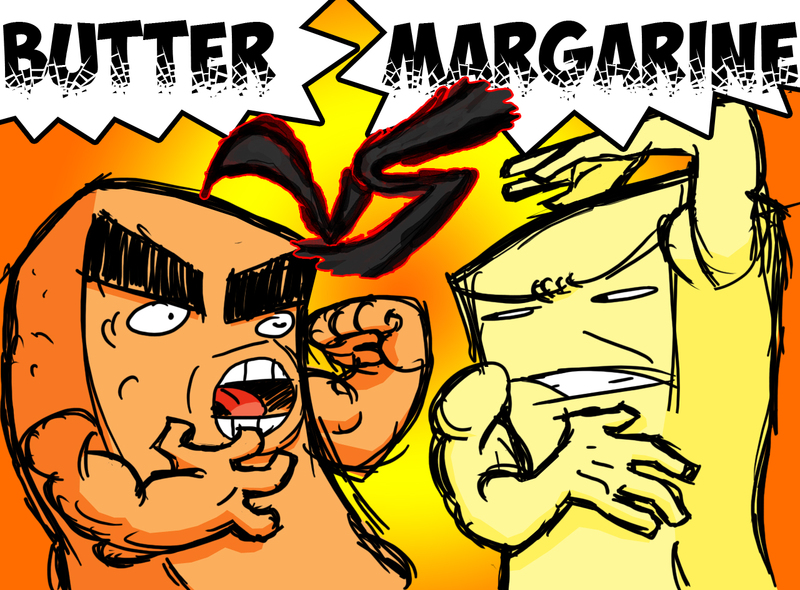 Butter or margarine? Which do you prefer? Share your thoughts in the comments section below or on our Facebook page! Great write up! 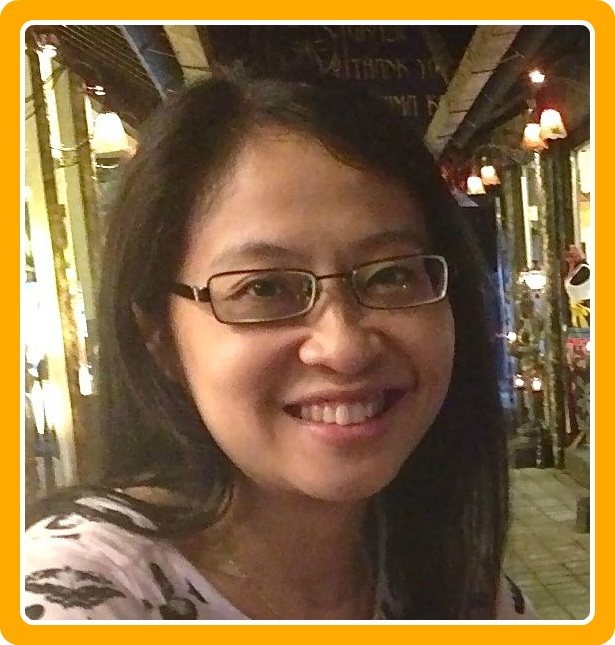 Gonna Use the info’s for my Fats and Oil: Issues in Nutrition presentation….Thank you!